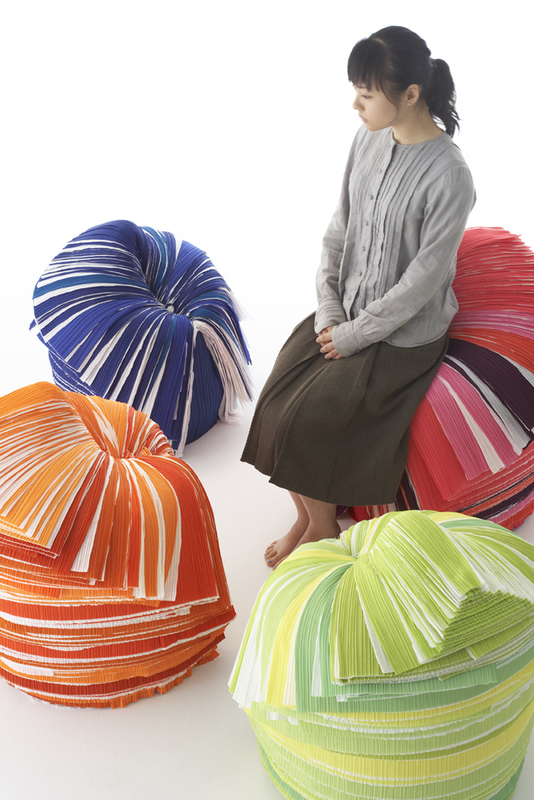 nendo designed the cabbage chair for XXIst Century Man exhibition curated by Issey Miyake to commemorate the first anniversary of 21_21 Design Sight in Roppongi, Tokyo. 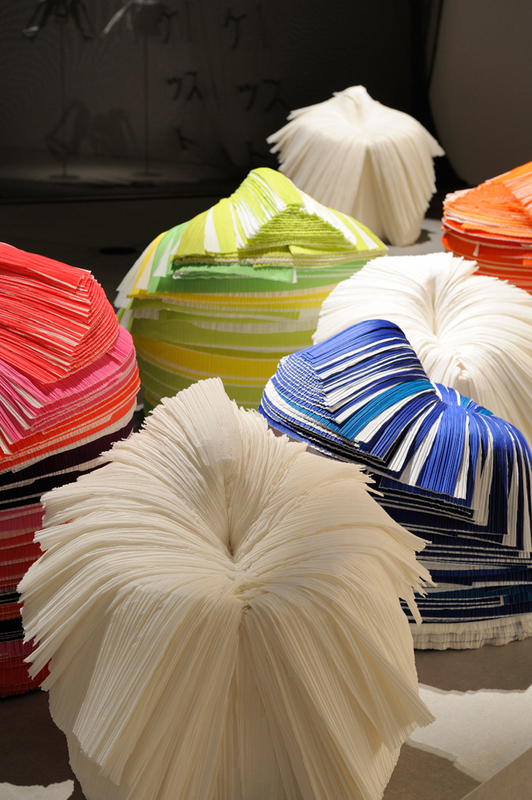 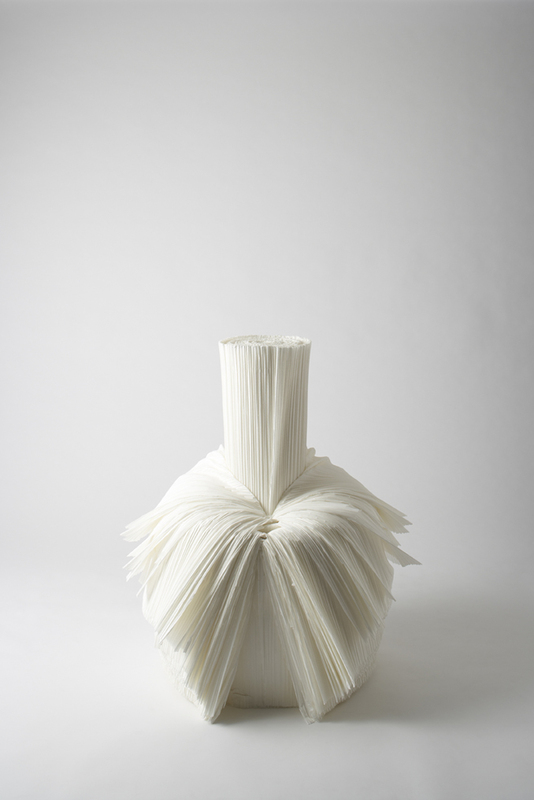 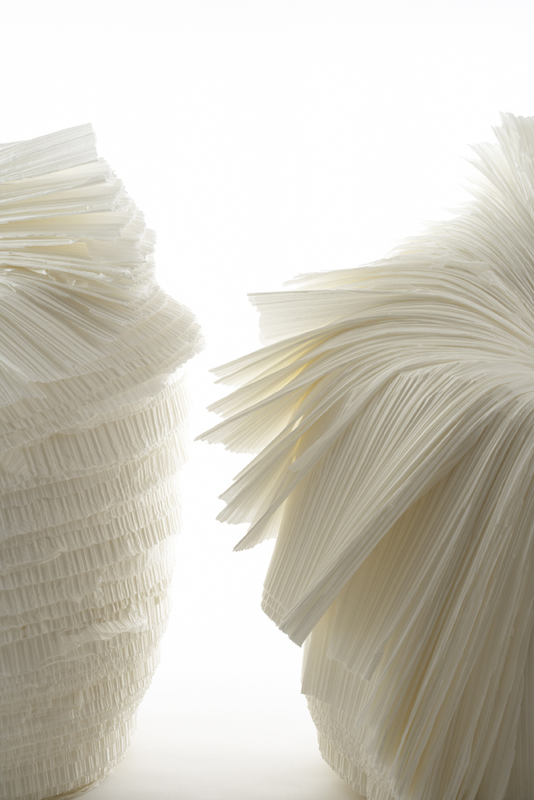 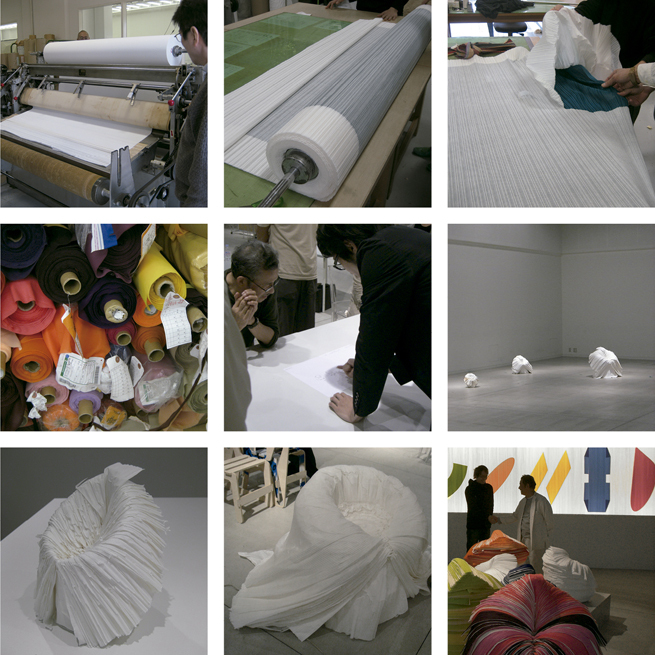 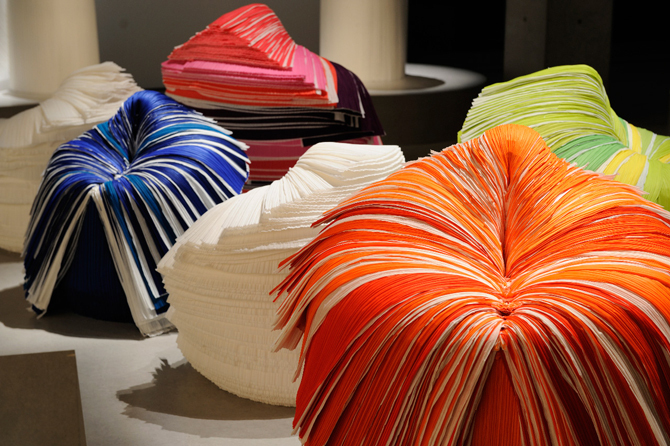 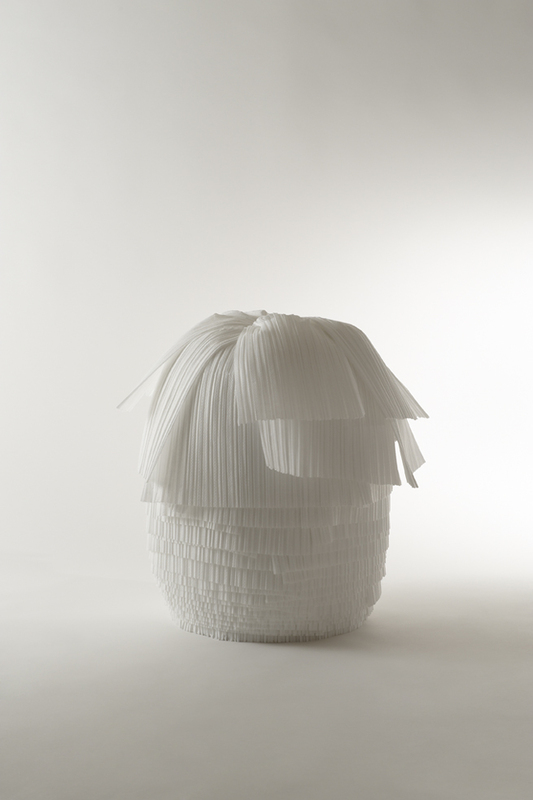 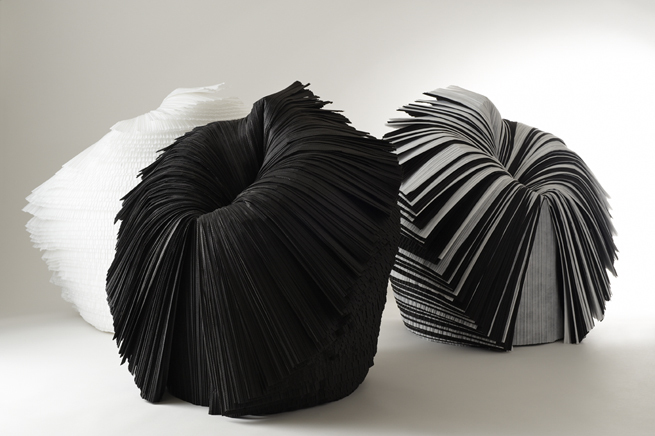 Miyake asked us to make furniture out of the pleated paper that is produced in mass amounts during the process of making pleated fabric, and usually abandoned as an unwanted by-product. 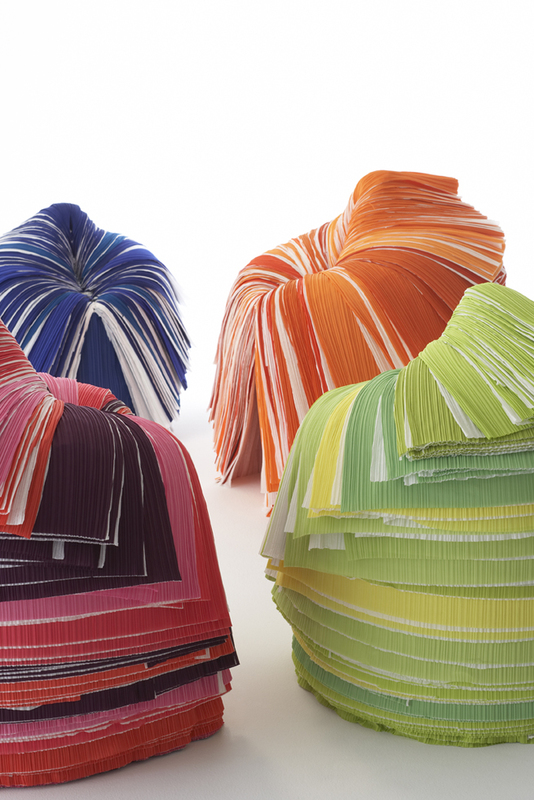 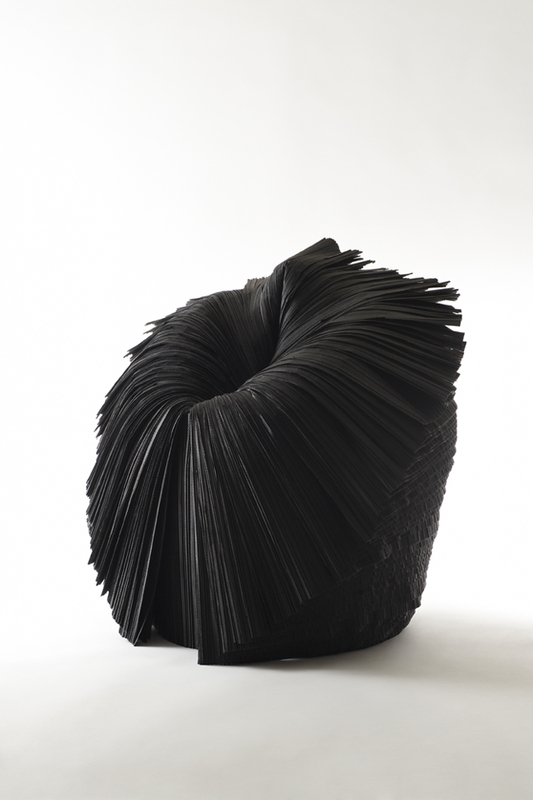 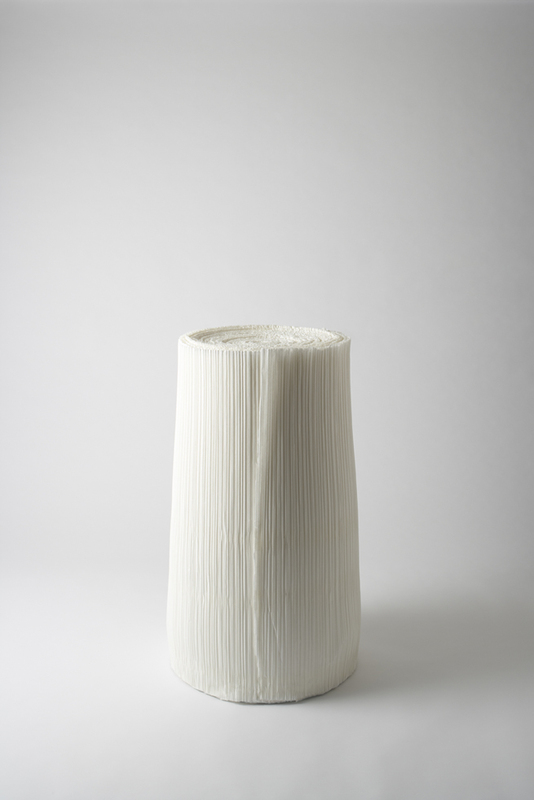 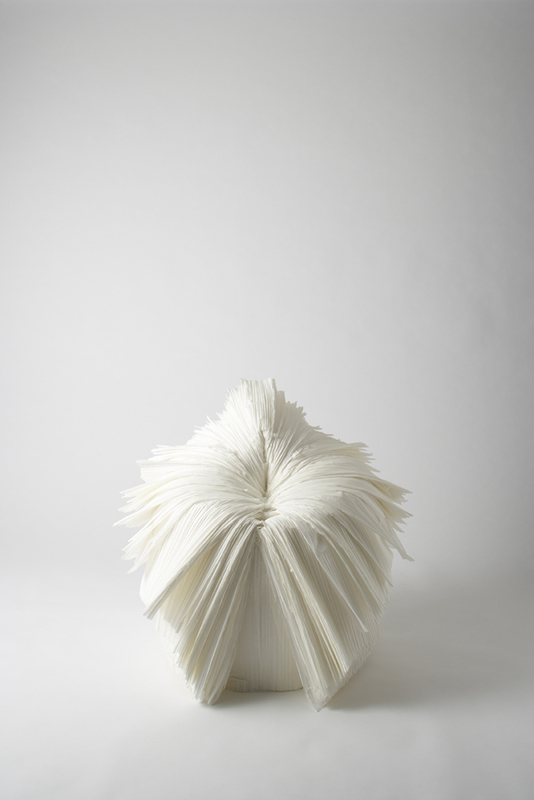 Our solution to his challenge transformed a roll of pleated paper into a small chair that appears naturally as you peel away its outside layers, one layer at a time. 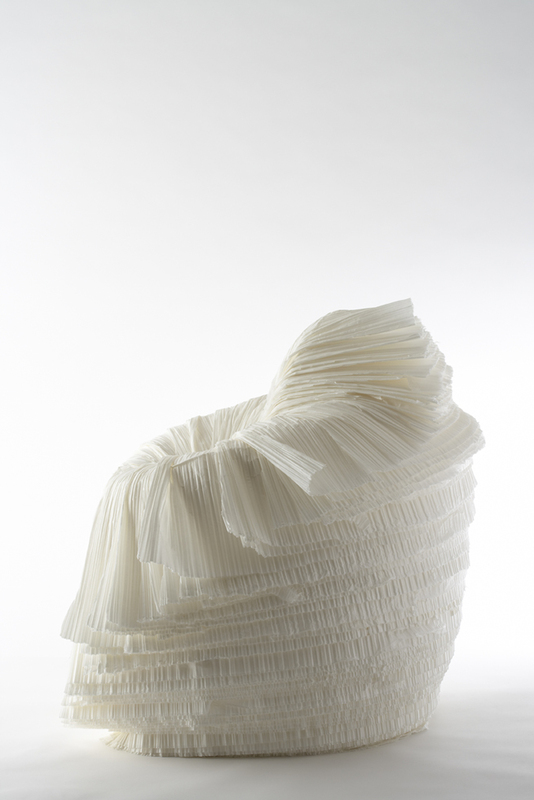 Resins added during the original paper production process adds strength and the ability to remember forms, and the pleats themselves give the chair elasticity and a springy resilience, for an overall effect that looks almost rough, but gives the user a soft, comfortable seating experience. 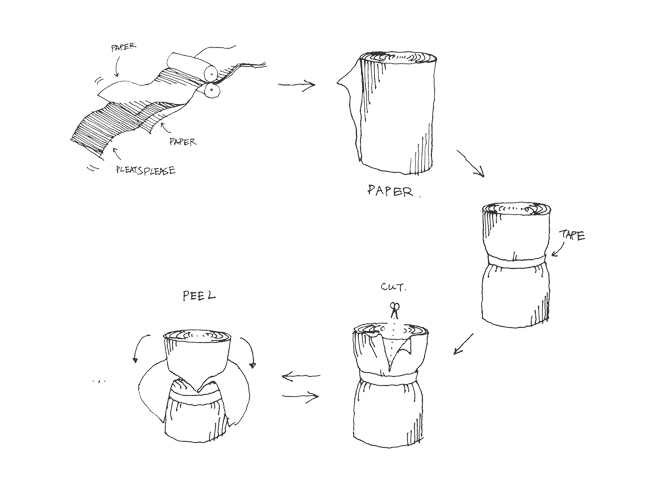 Since the production process is so simple, we thought that eventually, the chair could be shipped as one compact roll for the user to cut open and peel back at home. 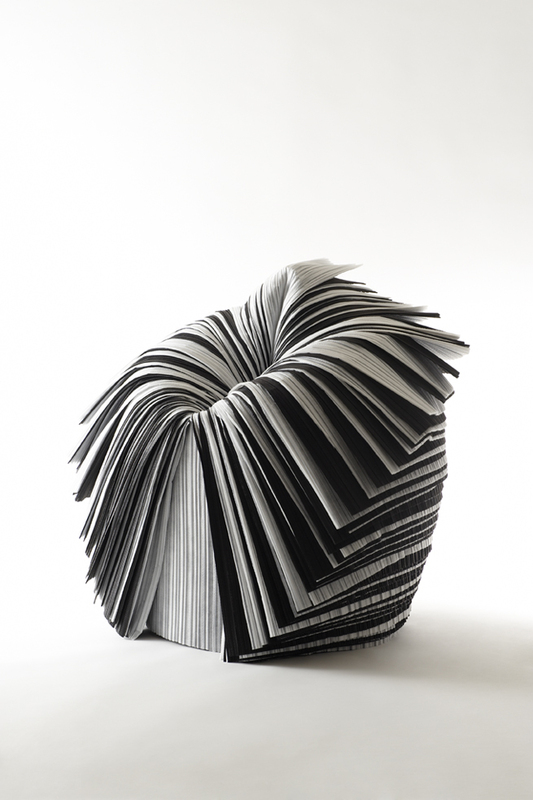 The chair has no internal structure. 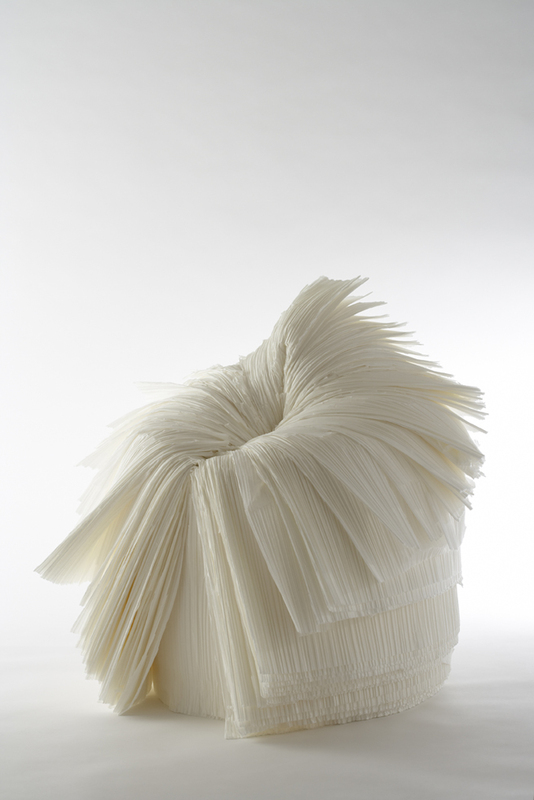 It is not finished, and it is assembled without nails or screws. 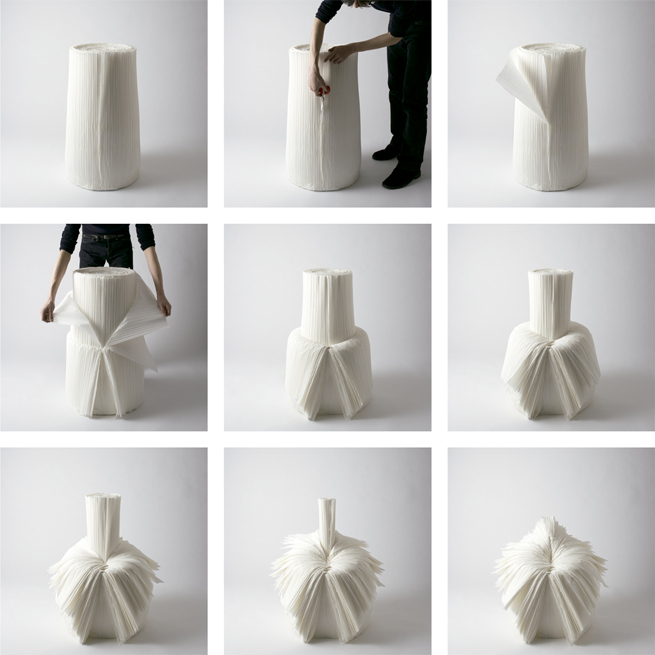 This primitive design responds gently to fabrication and distribution costs and environmental concerns, the kinds of issues that face our 21st century selves. 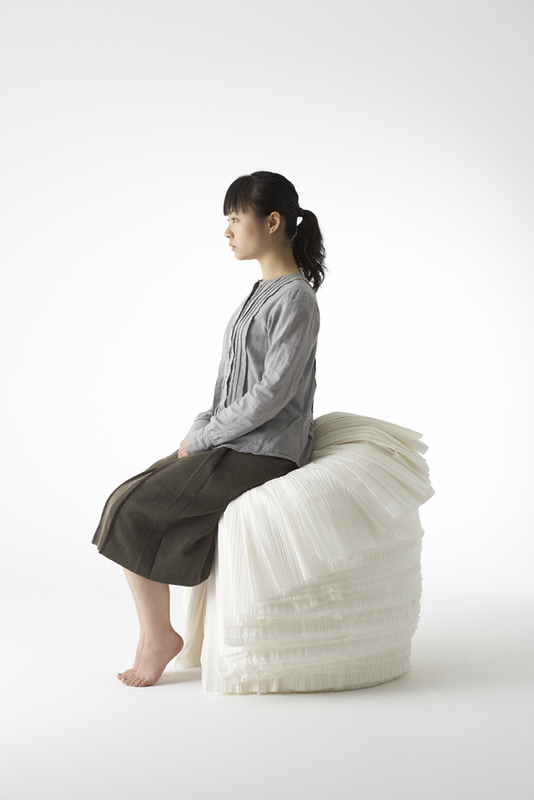 Thus, the cabbage chair fits active, optimistic and forward-moving “21st century people”, the kind of people who, to borrow a concept Miyake expressed during a meeting with us, “don’t just wear clothes, but shed their skin”.